Some people may claim that biometric identifiers and parks are easy to hack into. They’re not that easy, but if you do not buy high quality products within the biometric industry you may run into some problems should somebody try and break into your safe. Most people saying that hacking these devices is easy our generally scare mongers and are not well-versed what is going on in the technology world. We will be going over which locks and biometric identifiers are the easiest to break into and which ones you should personally be purchasing for your own use. We also recommend that you read reviews and watch as many videos as you possibly can to see which locks are backed by people who actually bought them. 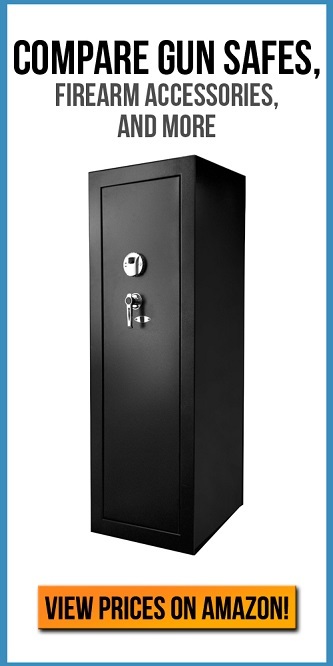 On sites like Amazon and the actual safe manufacturers websites, you can find reviews and detailed reports all about the safes. Feel free to check out our our article all about biometric safes. In July 2016, the FBI reported that if somebody’s biometric scanner is hacked into, their data can be stolen and used for identity theft. This can be catastrophic for anybody because unlike a passcode or a bank PIN; your biometric characteristics cannot be changed. You can always get any credit card or something like a new password for your favorite website. But, you can never change your fingerprints. This means that your fingerprints, your eyes, and voice stays generally the same for your entire life. And as of right now there is no technology out there that can drastically alter your fingerprints or eyes. This is good point if you are looking for a gun safe that has biometric scanners embedded. According to the FBI, by 2019 the biometric industry may be a $25 billion industry. 80% of people prefer to use biometric authentication over any other conventional unlocking method. This means that biometric technologies are more than likely going to be targeted by hackers every single day, and by people looking to steal identities for their own personal use. There already have been large-scale attacks on biometric databases. In December 2014, over 22 million people had their data which included passwords and fingerprints stolen from the Office of Personnel Management. Unfortunately, these hacks will become more and more frequent as people put their personal biometric data online and into the sometimes unsecure databases. You should not worry yourself too much or whether or not your data will be compromised because if you take proper precautions in securing your data and your loved one’s data, you should be just fine. When there is an influx of hackers targeting this data, that means there are people and security experts out there working night and day to secure any kind of loopholes or hacks that are ready to be exploited. So, what can you do? You must be certain that the product or company that you are giving any kind of fingerprints or biometric data about yourself are secure and take their security very seriously. Never be afraid to ask what kind of precautions and security measures they take with your data. Very rarely, do you have to give up this data if you do not want them to have any kind of data about you. There are privacy acts in almost every country, and they are strictly followed by the Government and any kind of Government institutions. If you feel uncomfortable giving a service, product or institution your information, then we simply suggest that you do not bother giving them anything. You should move on and find something that suits you and your conscience. This will allow you to sleep easy at night and not have to worry about whether or not your data is out floating around and up for grabs for anyone.